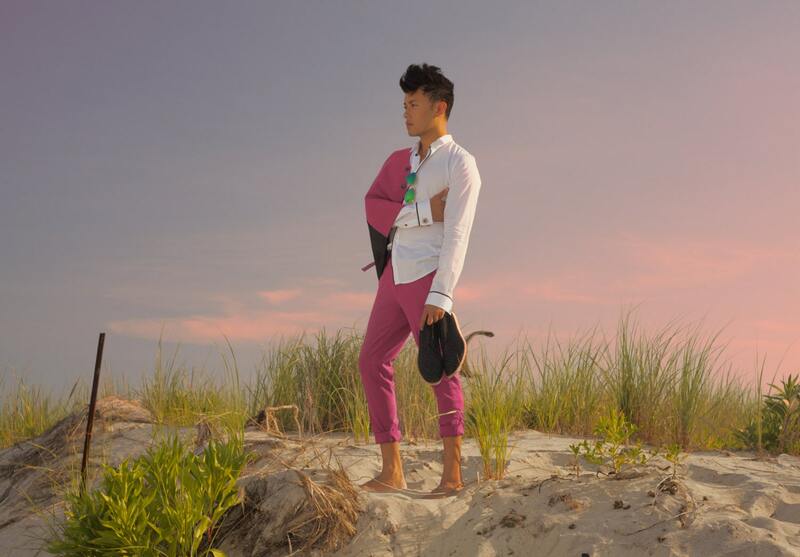 Amethyst Cufflinks featured on musician Paul from www.prime-band.com! 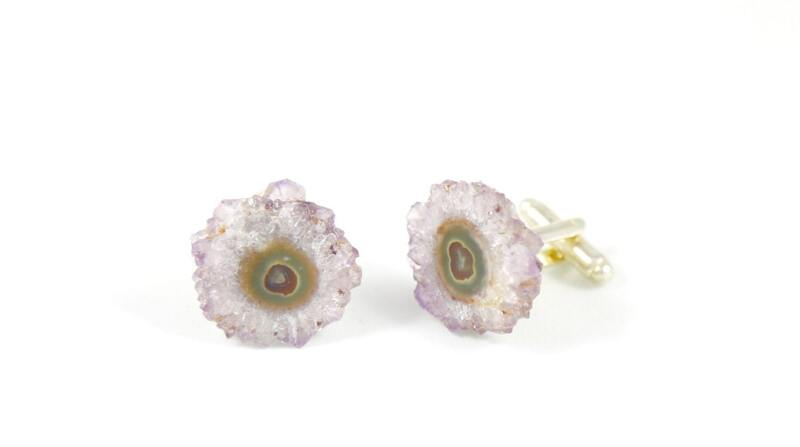 Explore your creative side with these beautiful crystal cufflinks. 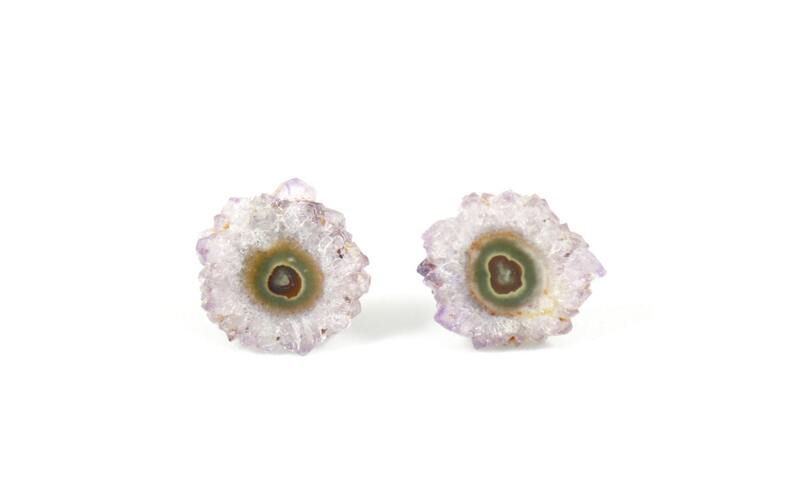 Amethyst Stalactite is the stone of self-expansion as the core of agate blossoms into gorgeous purple pointed crystals that resemble a flower! **Ask us about our custom made solid platinum, gold or silver options. Well let's just say that if we were playing, with these cufflinks you would win all the marbles. My son in law wears cufflinks almost every day and has quite a collection. He opened these and said they shot right to the top three pair he has. Thank you SO much for the speedy delivery. Awesome!! !